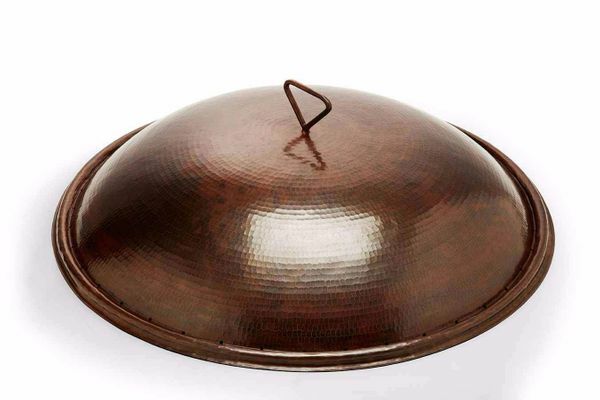 Still looking for the perfect cover to complement your brand new, Tempe copper bowl fire pit? �Feast your eyes on this 32" by 5.75" round, hammered-finished piece of artistry. It comes perfectly framed with a circular, upright lip for a unique appearance, and its 15-pound cover puts the "T" in tantalizing. �Giving you all of the protection you need from the outdoor elements, this product even comes equipped with an elegant handle for easy lifting.